These adjustable pinch bracelets are made of sterling silver and handmade bronze. Each charm is individually cast and fired in studio then soldered onto the sterling silver bracelet so that they are ready for years of wear. 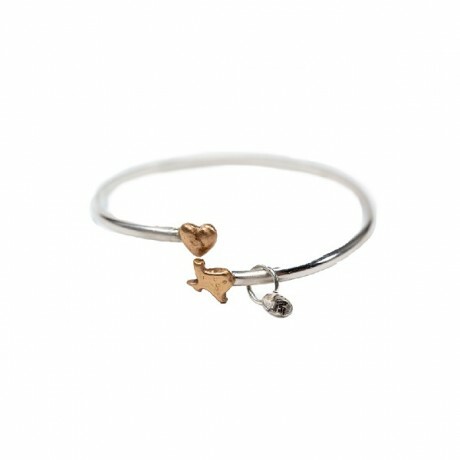 ChickeeBoom Jewelry is made from scratch in Dallas, Texas.